Spring is here and this is the perfect time of the year to wear leather jackets and blazers (also, some of you may know how short this period is in Italy, so this look won’t be around for long). 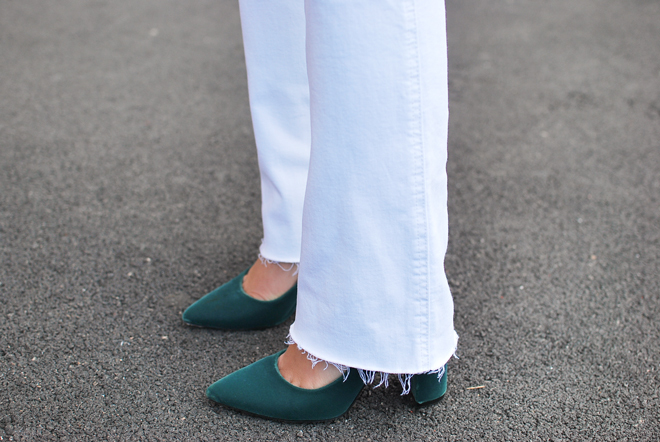 For the look of the day I decided to go for a pair of white flare jeans; a good alternative to the usual blue ones. I think they look casual but can also be worn in a smart/classic way as you can see in this outfit, where I added a blazer with a slightly oversized and long cut, a beige turtleneck top and a pair of high heels. La primavera è qui e questo è il momento perfetto dell’anno per indossare le giacche (e poi, sapete quanto breve sia il periodo primaverile qui in Italia, quindi carpe diem!). Per il look del giorno ho deciso di indossare un paio di jeans a zampa bianchi, un’alternativa al solito paio di jeans blu. 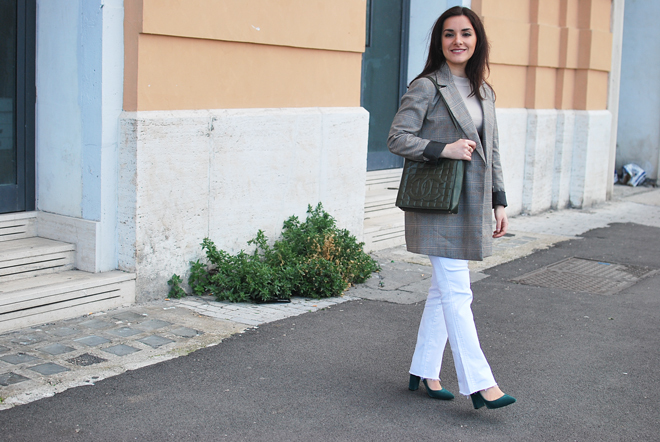 In questo outfit ho deciso di abbinarli in un modo classico abbinandoli a un blazer lungo e oversize, un dolcevita beige e un paio di tacchi alti.